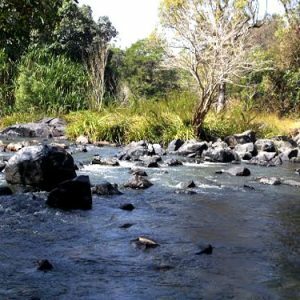 Â Kuruva Dweep wayanad (Kuruva Island) is a famous tourist place in wayanad , Kuruva Island is a group of islands located in the middle of east flowing Kabani River. 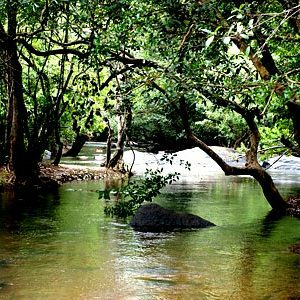 Kuruva islands is also known locally as Kuruva Dweep.This 950-acre tract of uninhabited land is rich in flora and fauna. This island is isolated but an array of uncommon species of birds,herbs and orchids are the monarchs of Kuruva Island.The specific geographical characteristics of Kuruva Island make this place very calm and the forests are always evergreen. These mind blowing characteristics have made this place attractive to the tourists who are nature lovers or travelers who love silent atmosphere. Other unique characteristics of these islands are the bridges made of bamboo and rare species of trees. 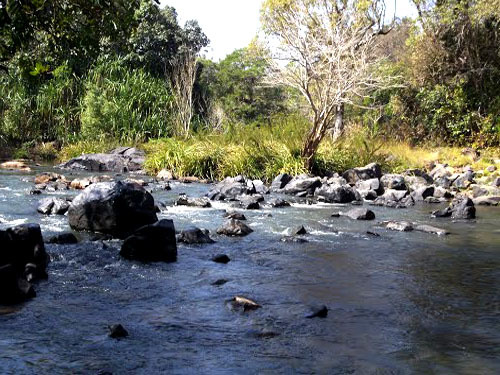 It is a must see destination for nature lovers and a popular picnic spot. 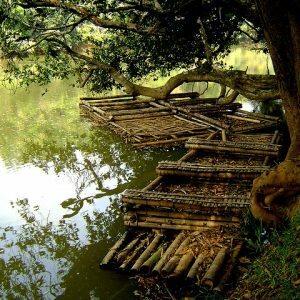 A perfect destination for those want to have a lazy walk through the shoreline of a river.Its unique geographical characteristics make it a place where not only the leaves but also silence is evergreen being away from cities and thus it has become a place of attraction. As many as three hour is needed to cover at least one island.Entry to this island is restricted by the Forest department and monitored by Vana Samrakshana Samiti a pass is mandatory, during rainy seasons and the frequencies of animals are higher.There is water stream covers the islands on all the sides. The area is completely covered by tall trees and for tourist this is mainly a Jungle walk below the shades of trees and side of bamboo bushes. The full track inside Jungle track is prepared with rest rooms, huts and benches for the tourists. This is a flat walk without any climbing inside green forest. Walkway bridges are prepared using Bamboo for the tourist to cross small streams of water flowing during rainy seasons. This island “Kuruva Dweep” is 15kms away from Mananthavady, 58kms from SulthanBathery and 40kms from Kalpetta. Frequent bus services are available from Manathavady to visit this tourist place of Kuruva Islands.From Mananthavdy covering Kattikulam, Kurukkan Moola, Palvelicham one can reach Kuruva. The ticket counter of DTPC is here. The tourists would be brought to island in the fiber boat from here. If one is coming via Sulthan Bathery, Kuruva can be reached covering Kenichira, Nadavayal, Punchavayal, Pakkam. From Pakkam there is route in the right direction, which leads to the forest. By covering a distance of 4 kms one would reach the southern part of Kuruva. 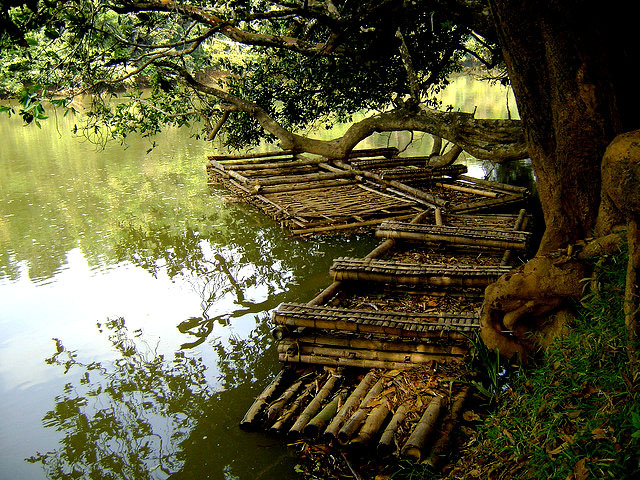 Here too is a ticket counter of forest department and can enter Kuruva in the bamboo raft. By road: There are bus services to Kuruva from Mananthavady via Changalagate, Kurukkanmoola and Palvelicham. To Mananthavady from Kuruva: 7.10 am, 8.15 am, 8.45 am, 10.30 am, 10.45 am, 12.20pm, 1.20 pm, 2.20 pm, 3.45pm, 4.45pm, 5.45pm, 6.45pm. DTPC Kuruva office: 04936- 245180. Range officer, Chelathath Forest range, Bathery: Ph: 222443, 203428. Treetop hut one bed Rs 750 maximum 3 persons for 24 hours. Very nice place to visit.. Very good place to visit, but In monsoon season we can’t able to enter inside. Full of water inside the areas. Every year I visited wayanad especially in kuruva dweep. Somany visitors visiting every day. I enjoyed a lot from here. Nice place …. There is no facility for overnight stay in the island. 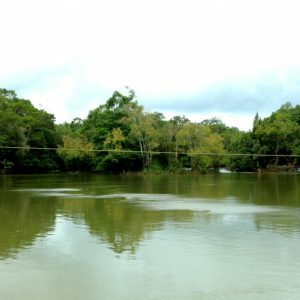 It is a typical forest area along the shore of the river. Access is restricted. However, there are few resorts and hotels just before you enter the island area, which would be a safe place to stay. Those who love nature, don’t miss this place. 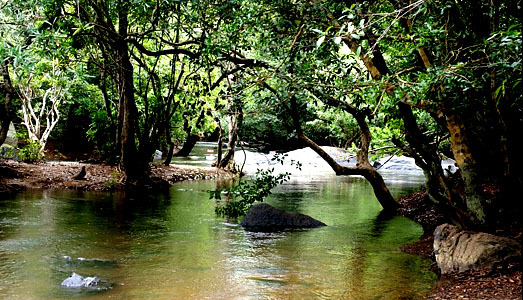 Keep aside a few hours for Kuruva island during your next visit to Wayanad. You won’t feel bored even if you spend an entire day here. Please note that this place is closed for visitors during monsoon. So check before you go to avoid disappointment. Usually DTPC announces ahead of time about closing the islands for visitors when the monsoon starts. Is kuruva deep Island is open on 02.07.2016 & 03.07.2016. 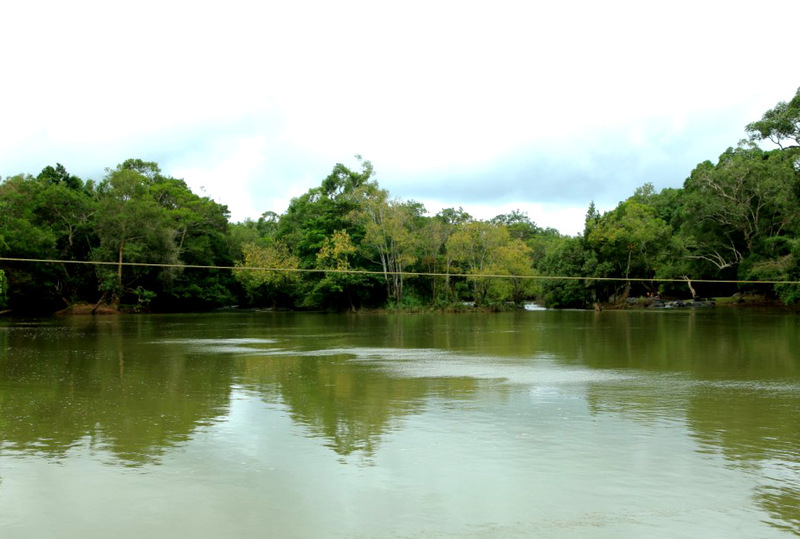 Kuruva Island is specifically open from November-June. Alas, I missed visiting this place as I was not sure about the duration of Monsoon. There was no signboard at the site either. How much hour is it needed to cover Kuruvadeep island and how much time will it take to reach the island from the Wayand town. is it worth going therr in april? will water will be there? Doses it open? Or closed due to rain? Please reply! Is kuruva Island open today 1st of July 2017?